"Don't you put any stock in this destiny hogwash! Let the dead whine about their fate... As long as I draw breath, I choose to keep fighting! That's what life is all about!" 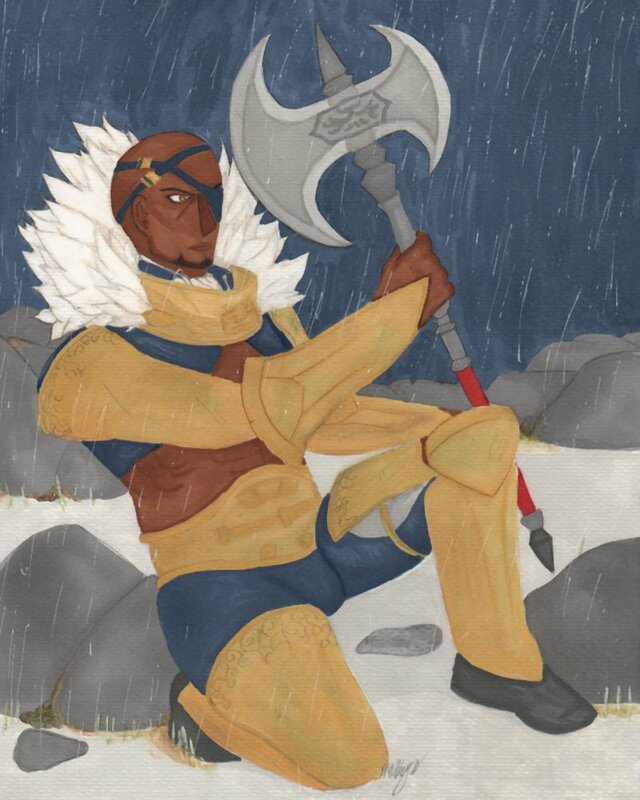 First this gallery is great and I've enjoyed drawing Basilio as I do love drawing axe wielders ^^;; and it was a great thing to get back into drawing with a loved character!